The retail prices of oil and petrol will be kept unchanged for the next 15 days, the ministries of Finance and Industry and Trade announced on January 31. The two ministries reviewed fuel prices every 15 days to keep domestic prices up with swings in the global market. Accordingly, the retail price of bio-fuel E5 RON 92 will not be higher than 16,272 VND (0.7 USD) per litre, and that of RON 95 not more than 17,603 VND (0.76 USD). 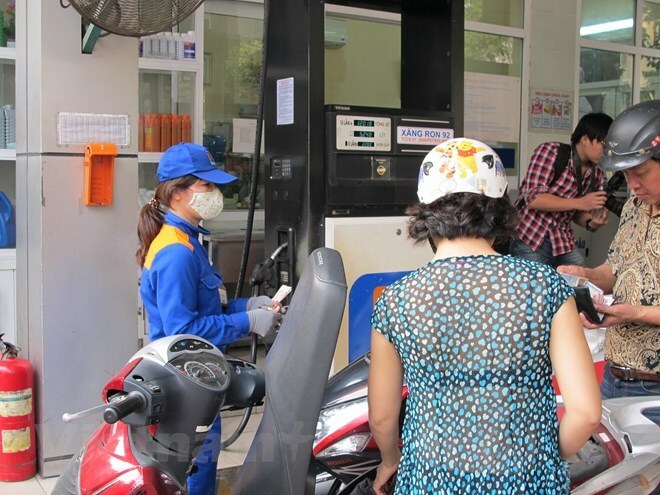 The ceiling prices of diesel and kerosene will be maintained at 14,909 VND and 14,185 VND per litre, respectively. Meanwhile, the cost of ethanol E100 which is used to produce E5 petrol stood at 15,458 VND per litre before tax. The two ministries decided to maintain the petrol prices to support production of domestic firms and control inflation prior to 2019 Lunar New Year. This time, subsidies for E5 RON92 are 1,673 VND per litre (previously 1,462 VND per litre), 825 VND per litre for RON95 (previously 645 VND per litre), as well as 1,003 VND per litre for diesel (previously 430 VND per litre). The falling trend in petrol price stopped after six consecutive downward adjustments. At this level, the petrol price is still 2,500 VND lower than the price at the beginning of 2018. The average global price of petrol products during the last 15 days to January 31 was at 59.674 USD per barrel for RON 92 and 82.368 USD for diesel.